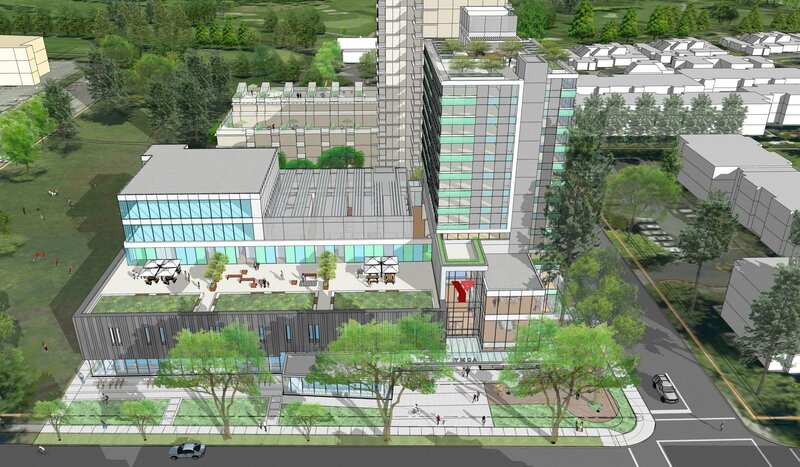 A new Langara Family YMCA is on the way and includes three new pools, larger strength and conditioning gyms, childcare facilities and affordable rental apartments and market condominiums. 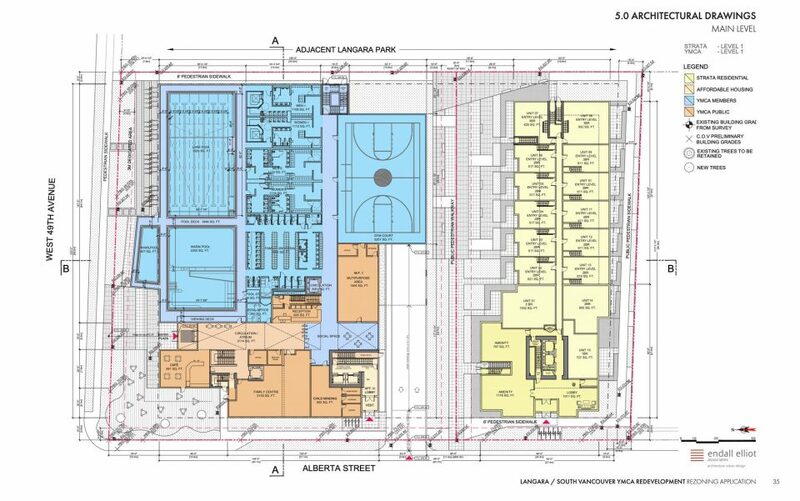 The existing Langara Family YMCA at 282 West 49th Avenue is 44,000 square feet, while the new facility will be over 60,000 square feet — with the ability to expand to 75,000 square feet in the future. The architects are Endall Elliot Associates, with landscape architecture by PWL Partnership. The new YMCA will include a rooftop social area, 9,000 sq ft. child care facility serving infants, toddlers, three-to-five year olds, preschool and school age children; multipurpose rooms, larger gyms for cardio and strength training and underground parking. 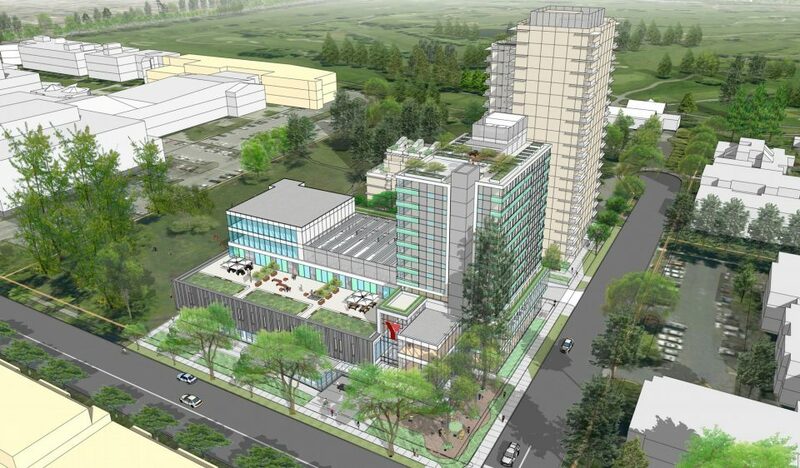 In addition to the new Langara YMCA, an 13-storey non-market residential building will be constructed atop of a portion of the recreation facilities. 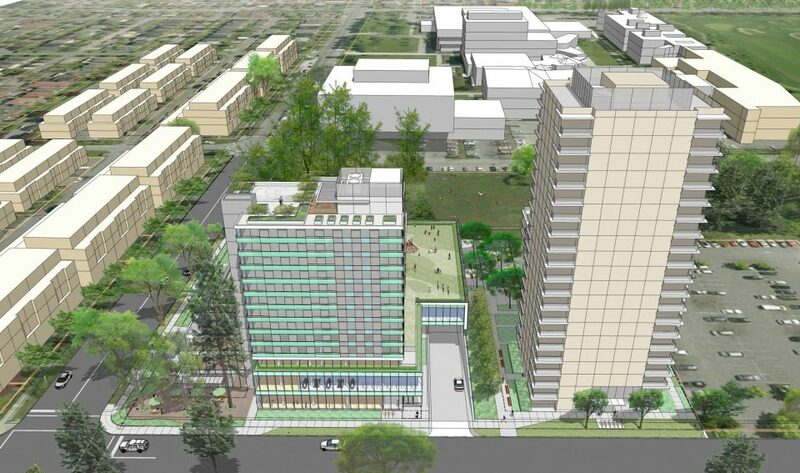 The affordable rental tower will be owned and operated by the YMCA and contain 70 units. 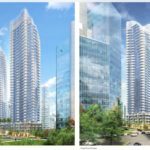 A 20-storey strata condominium tower with approximately 158 strata units will also be constructed adjacent to the new YMCA. 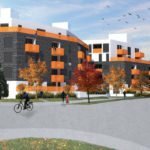 The new YMCA and the non-market and market residential units will be served by a unified underground parking garage containing 339 vehicle parking spaces and 545 bicycle parking spaces. 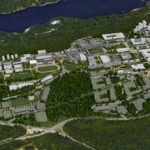 In order to construct the new facility, the Langara YMCA will need to close in early 2021, with an expected opening of the new facility in 2023. The facility serves more than 12,000 people each year. 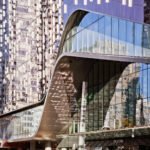 The new Langara YMCA, including the affordable housing, will be registered under the LEED V4 New Construction rating system and designed to achieve LEED Gold certification, according to Stantec. A community open house will be held on April 17, 2019 from 5-8pm at the Langara Family YMCA, 282 West 49th Avenue, with City staff and the applicant team available to answer questions. 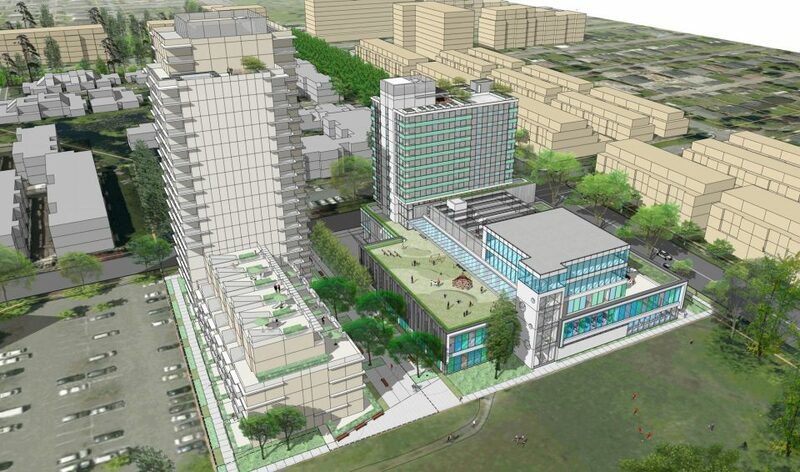 The new YMCA will likely be popular with the future residents of the nearby Pearson Dogwood lands redevelopment by Onni Group, known as Cambie Gardens. 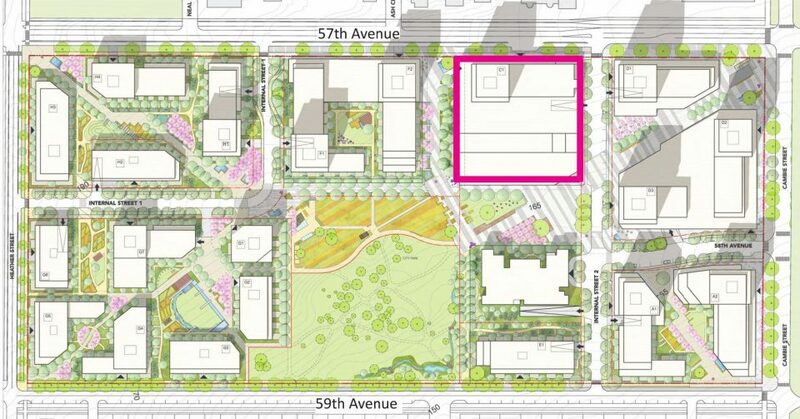 At full build out, the redevelopment will contain 2,700 units, a 2.5-acre public park and a one-acre urban farm. 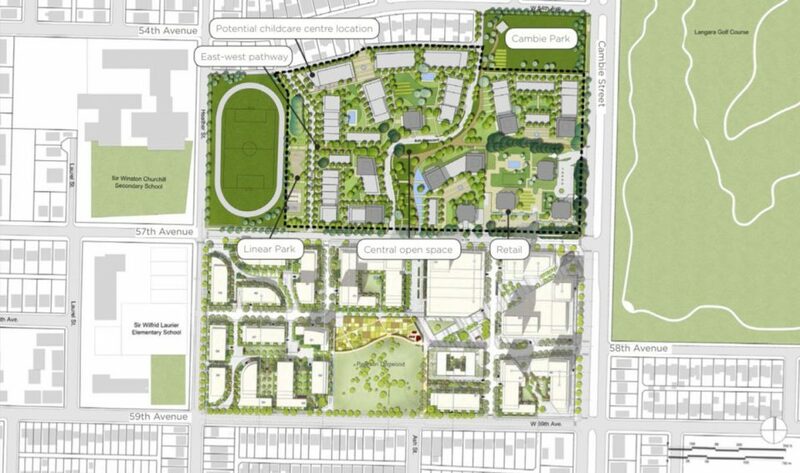 Also located nearby is the redevelopment of the Langara Gardens site by Concert Properties and the Peterson Group, which will add 2,000 new homes in buildings ranging from three to 28 storeys. 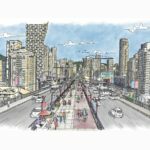 And if that wasn’t enough, the redevelopment of the 28-acre Oakridge Centre shopping mall by QuadReal and Westbank will add 2,548 new residential units at Cambie and West 41st Avenue. 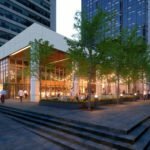 The first tower of the development is already sold out.